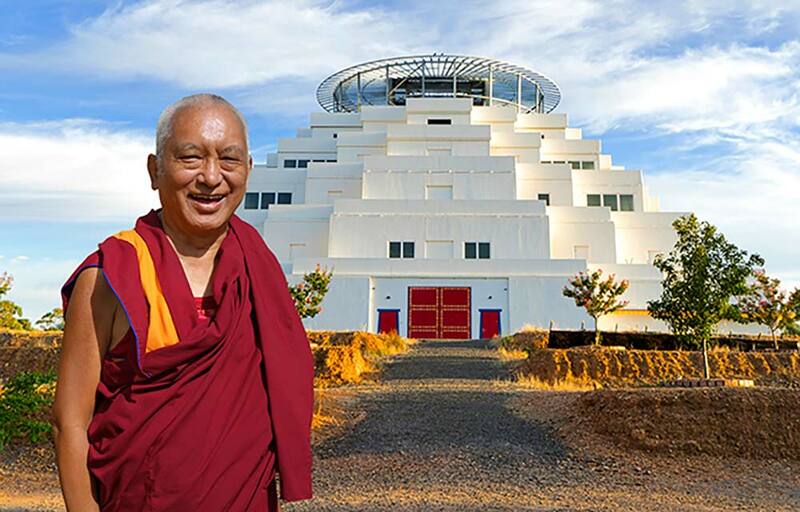 The retreat will be held inside the Great Stupa of Universal Compassion in Bendigo, Australia. North West of Bendigo CBD, on Sandhurst Town Rd. Tullamarine Airport in Melbourne is the most accessible national/international airport closest to Bendigo. Arrive at Melbourne Tullamarine Airport. Just outside the airport luggage collection area, you can book a Skybus into Melbourne, with an arrival at Southern Cross Railway Station (20 minute bus-ride). On arrival at Southern Cross Railway Station, catch a train to Bendigo. See “By Train” below. Alternatively, the Bendigo Airport shuttle runs return services each day from Melbourne Tullamarine Airport to Bendigo Railway station. For timetables, fares and bookings, see www.bendigoairportservice.com.au or phone +61 (0)3 5444 3939. The trip to the Bendigo Railway Station takes about 2 hours. This is probably the easiest choice if you arrive and are able to catch one of the scheduled shuttle buses that depart between 7:00am and 8:00pm. If you arrive later, you can either stay at the airport – the Parkroyal Melbourne Hotel is right at the airport and is very convenient, either for the Bendigo Airport Service or for the Skybus into Melbourne – or you can travel into Melbourne via the Skybus. There are several hotels near Southern Cross Railway Station – you can search for these via Trip Advisor or one of the other internet hotel booking agencies. If you decide to stay overnight in Melbourne, the best way to get to Bendigo and the venue is by V/Line train. Please note that all passengers are required to have a valid myki (V/Line commuter train lines) or a V/Line paper ticket (coaches and long distance trains). At Melbourne’s Southern Cross Railway Station, find the V/Line booking office or myki kiosk and purchase a V/Line ticket to Bendigo. Follow the various signs to catch a train travelling to Bendigo (90-120 minutes train ride). For timetables and bookings, see www.vline.com.au or phone (+61) 136 196. This schedule can change, so please check again closer to the time of your travel. Take the first entrance on the left up to the Great Stupa. In 20 kilometres, at Marong, cross the railway line and immediately turn right at the intersection. After 500 metres turn left onto Allies Road. In Sandhurst Town Road, turn left into the first driveway, through the gate and follow the signs to Atisha Office, which is where the Retreat Office reception and parking area are located. Please note: The event office will be open from Monday, 9th March 2020.